Barack Hussein in Arabic means "the blessing of Hussein." In Persian, Obama translates as "He [is] with us." Thus does the name of the presumptive American president-elect, when combined with his physical attributes and geography, suggest that the End of Times is nigh – precisely what Iranian president Mahmoud Ahmadinejad has been predicting. Back down on earth, the Muslim reaction to Obama's victory is more mixed than one might expect. American Islamists are delighted; an umbrella group, the American Muslim Taskforce on Civil Rights and Election, opined that, with Obama's election, "Our nation has … risen to new majestic heights." Siraj Wahhaj, Al-Hajj Talib Abdur Rashid, the Council on American Islamic Relations, the Muslim Public Affairs Council, the Islamic Society of North America, the Islamic Circle of North America, and the Muslim Alliance in North America responded with similar exuberance. Hamas, and Islamist movements in Egypt, Jordan, Iraq, India, Indonesia and the Philippines delighted in Obama's election. Robert Spencer of Jihad Watch generalizes that jihadists and Islamic supremacists worldwide showed "unalloyed joy." The New York Times finds public reaction in the Middle East mostly "euphoric." John Esposito of Georgetown University emphasizes the Muslim world's welcome to Obama as an "internationalist president." But plenty of other Muslims have other views. Writing in Canada's Edmonton Sun, Salim Mansur found John McCain the "more worthy candidate." Yusif al-Qaradawi, the Al-Jazeera sheikh, endorsed McCain for opposite reasons: "This is because I prefer the obvious enemy who does not hypocritically [conceal] his hostility toward you… to the enemy who wears a mask [of friendliness]." Al-Qaradawi also argued that twice as many Iraqis died during Bill Clinton's two administrations than during George W. Bush's. 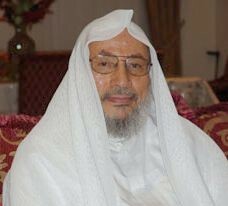 For tactical reasons, the influential Sunni sheikh Yusif al-Qaradawi wanted John McCain to win. Iran's hardliners also favored a McCain victory (according to Iran's former Vice President Mohammad Ali Abtahi) "because they benefit more from enmity with the U.S., which allows them to rally the Islamic world behind their policies and at the same time suppress dissent at home." The Taliban took note of Obama's election promise to increase U.S. troops in Afghanistan, warning that, should he fulfill this plan, "jihad and resistance will be continued." Iraqis are intensively divided about Obama's plan quickly to withdraw U.S. troops from their country. That plan, plus promises to end U.S. dependence on Middle East oil and to negotiate with Iranian leaders, rattled the leaders of Saudi Arabia and other Persian Gulf governments. Some commentators argue that Obama cannot make a real difference; an Iranian newspaper declares him unable to alter a system "established by capitalists, Zionists, and racists." Predictably, the appointment of Rahm Emanuel as Obama's chief of staff confirmed Palestinian perceptions of an omnipotent Israel lobby. A commentator in the United Arab Emirates went further, predicting Obama's replication of Jimmy Carter's trajectory of flamboyant emergence, failure in the Middle East, and electoral defeat. Never before have Americans voted into the White House a person so unknown and enigmatic. Emerging from a hard-left background, he ran, especially in the general election, mostly as a center-left candidate. Which of these positions will he adopt as president? More precisely, where along the spectrum from hard- to center-left will he land? Looking at the Arab-Israeli conflict, for example, will Obama's policies reflect Rashid Khalidi, the ex-PLO flak he befriended in the 1990s, or Dennis Ross, his recent campaign advisor and member of my board of editors? No one can yet say. Still, one can predict. Should Obama return to his hard left roots, Muslim euphoria will largely continue. Should he seek to make his presidency a success by moving to the center-left, many – but hardly all – Muslims will experience severe disillusionment. Nov. 13, 2008 update: Yusuf al-Qaradawi now indicates that he has never supported McCain, that the media reports got him wrong. He prefers Obama for four reasons, one of which is his "African origins." Related Topics: US politics, Views of US | Daniel Pipes receive the latest by email: subscribe to the free mef mailing list This text may be reposted or forwarded so long as it is presented as an integral whole with complete and accurate information provided about its author, date, place of publication, and original URL.